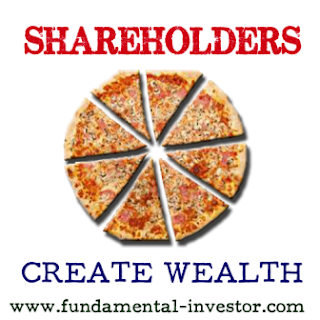 Fundamental Investor: Who are the shareholders of a business in the Stock Market? Hope you are enjoying your weekend. I am having a lot of fun and enjoying myself. I have been travelling for the last few weeks and hence couldn't write any article. Anyway, this week, lets look at something very important and is, for me personally, a key aspect in fundamental analysis of a business. In one of my previous articles, we looked at the share allotment in an IPO - Click here to read it. We understood the main reason for a business to get listed and give shares to public. Let us now have a quick look at the shareholders of any business and what it essentially means. There are multiple investors in a business. The primary market is the place where the company raises funds by giving its shares at a premium based on future potential. The interested buy the shares at a premium. But who are the people who finally hold shares of a company? Let us have a look. 1) Promoters group - A promoter is a person who understands the business well enough to be a face of the company. Normally a promoter would be the founder of the company. But it is not always necessary. He/She can be an ambassador for the company, and due to rich experience can ensure that the business attracts customers and investors alike. Raising capital is a piece of cake for promoters with excellent track record, since they have built their brand image and shown success in their experience. They have a huge say in the company and can control the company. They are instrumental in the plans and visions of the company and also in giving shares to public investors. Please note that the director / officer of the business who is doing so just professionally will not be a part of the Promoter Group. The Promoter group can be the promoter, and immediate relative of the promoter, or a company as well. You will have both Indian as well as Foreign Promoters. The experience and history of the promoters play a huge role in the success of the company and the valuation which the business will command. Banks, Financial Institutions, Insurance Companies, Mutual Funds, private Corporate bodies, Trusts etc. 2) Foreign Institutional Investors - Foreign Institutional investors (FIIs) are entities established or incorporated outside India and make proposals for investments in India. They can be international fund houses who have collected money from investors and invest in companies outside their country or region (internationally). In order to invest in the primary and secondary market, they have to go through some schemes like the Portfolio Investment Scheme. Now, there are some RBI regulations which also set an upper cap for the percentage of shares to be given to FIIs. More FIIs entering is normally considered as a good sign since it also shows the confidence of foreign investors in the business. Normally, when the business has a good global presence, FIIs would be interested to invest. 3) Domestic Individual Investors - As the name suggests, the institutional investors who are Indian would fall into this category. This includes the mutual funds and big big business houses which would fall in this category. They have huge money power and buy in bulk for long term. 4) Bodies corporate - This can be any legal entity, a company, associations etc who want to invest in the business. 5) Retail investors - Investors like you and me who want to buy a chunk of the shares. When an IPO issues shares in the primary market, the preference is generally given to the Institutional Investors since they buy the shares keeping a long term view in mind. The retail investors are generally given a smaller chunk so that the secondary market does not get lots of shares to trade on a daily basis. Now when you are investing in a business, please have a look at the shareholding pattern in the BSE/NSE/Moneycontrol websites. - High promoter holding shows that the promoter is highly confident of the business. He would also be more than happy to pump in money and also raise money to fund the business. A very low promoter holding shows that the confidence on the business is low. - If the promoter shares are significantly lesser in current quarter as compared to previous quarter, we need to be prudent to understand why the promoter sold shares. The earlier we diagnose, the better our decisions will be. This information can be easily procured from the BSE/NSE websites in Disclosures. - High FII and DII holding is also a great sign. You can try to see the shareholding pattern on a quarterly basis to see if the Institutional investment is going up. If it is, that means that they are very confident on the future and hence your investment is a good one. The only bad part if that, if the FII or DII holding is high and they offload the shares, the price comes down crazily. With this information in mind, try to have a look at the shareholding pattern of your business which you own. How does it look?? Very nice and useful bases information. Keep posting such information which is very helpful to understand by small retail investors. another valueable post with crisp & clear explanation. I have a doubt regarding equity base of a company.how does it impact during selection of stock. Lets say A and B are two listed companies in same sector. A's equity base is 10cr and B's is 700cr both with same face value.company A is already proved multubagger and i feel no more value left in that stock.My ques is, if i find B's prospects interesting and if i am confident of the company's plans and management, then can i invest in that company without any second thought or should i worry about large equity base? * there are many other parameters to be considered before investing in a stock but in this particular case, i want to know particularly about equity base. Am i correct in both the cases?? Just for comparision of equity base, one can consider diff between Avanti feeds (low equity) and waterbase(large equity)...arvind (low equity) and ABFRL(large equity). Srinivas ji.. So answering your question, if the Face Value is the same, that means the equity dilution is the same in both the stocks. Now coming to Equity Base of Market Cap which is the Market Price times the Number of Shares Outstanding. I don't think that the Market Cap has anything to do with the future potential of a company. If you find a company trading at cheap valuations (as compared to its future growth), it will go up irrespective of its market cap. So, I personally do not think that Equity base has got anything to do with the Value of a company. If CMP is less than BV, we need to see why it is so. The market is not giving the company due recognition. We need to carefully examine why this is so. It should not become a Value Trap. Yes.. Bottomline or Earnings is extremely important for a company to increase EPS. They may choose to pay dividends. But a company which pays dividend is generally considered more reliable... Hope this answers..
Glad that I could help.. Enjoy..
You explain types of investors in a clear yet thorough way. It is particularly important to assess what more knowledgeable investors might know about the company's future expected performance by looking at who is buying and selling and how much.